Juggling Inferno offer world-class fire and circus entertainment packages for events, weddings and parties throughout the UK. Juggling Inferno has a skilled team of fire jugglers and circus performers. They’re an ideal way to add excitement glamour and to your event. Meet and greet fire performers. As performing arts professionals Juggling Inferno will travel wherever you want, in the UK and beyond. 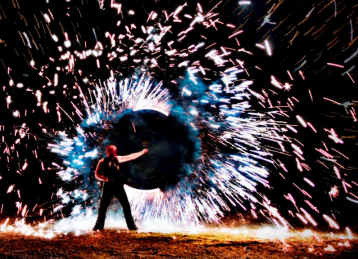 If you can’t have fire at your event, let them dazzle you with their dynamic displays of high-tech, multi-coloured, glow juggling.